Harps have a voluptuous shape. They are known for their exquisite patterns and great colors. In all there are about twelve species. Most live in shallow tropical seas. A few are found in deep water off south Australia. They do not have an operculum and prefer sand. All are carnivorous. 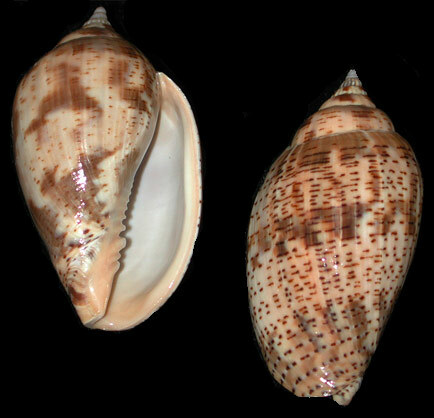 The Davidis Harp shell is found across the Indo-Pacific region. Family. Harpidae. 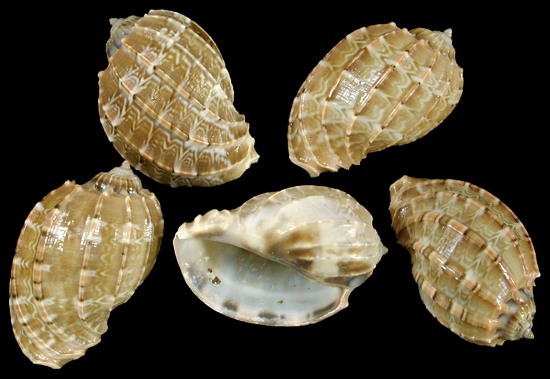 Harpulina Shells are found across the Indo-Pacific region.